A bottle of Champagne, Jules Feraud, Brut Cuveepersonalised as a gift that is a perfect for celebrating with style! 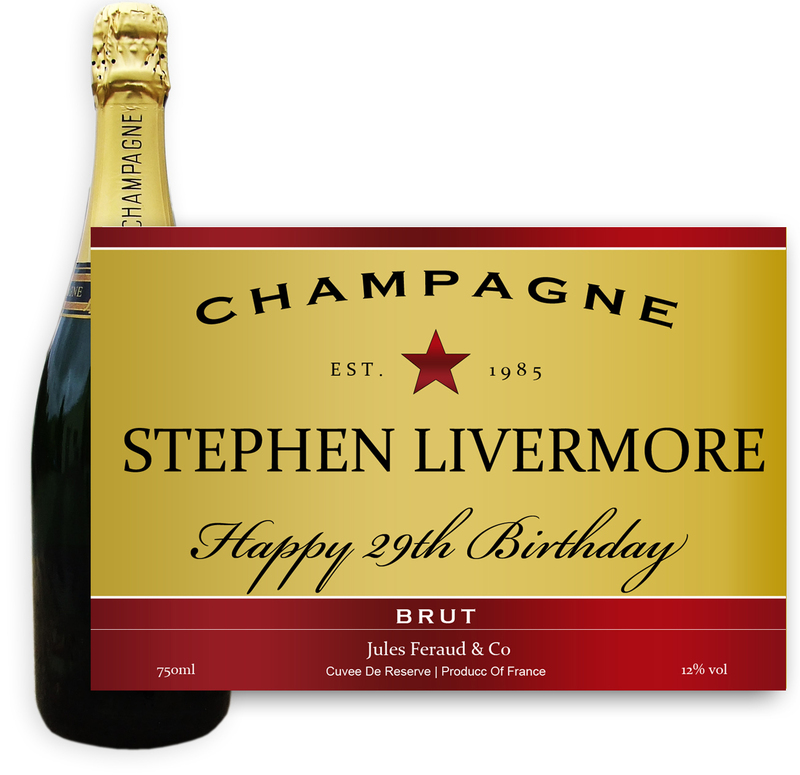 Create your very own Personalised Bottle of Champagne with your own message on the bottle, which is printed in full colour. Jules Feraud is a rich Champagne with savoury aromas. This deep, golden Champagne is powerful but elegant; strong bodied and dry yet still balanced. A fresh, fun and lively champange for any occasion..and deliciously easy to drink!